Office space prices ranging from ₹6500 - ₹85000 per month. These offices to rent have been recently refurbished to add a flair of exclusivity to the environment. Modern furniture has been fitted throughout the offices whilst the meeting and conference rooms have been completely redesigned to offer varied configurations. The office is located within the popular Vatika Business Centre on Airport Road, with the Pune International Airport being just 3 kilometres away. Major airport hotels and other conveniences are located within the vicinity. Situated in an area popular with software and IT companies, 5-star hotels and educational institutes, this serviced office space is housed within a building that received a 7-star rating by Crisil in 2013. Opening soon - Located in Yerawada, Pune in a big complex which has different types of restaurants, cafes and shopping opportunities on the site as well as it is well connected to public transport as the next bus station is only a three minute walk away from the building. Connect with clients in a wide selection of meeting and conference rooms, take a break with a game at our chill zone and game area, or grab some food for thought at the cafe! Productivity ready space suitable for emerging companies, startups, one-man armies, travelling professionals and individuals seeking enriching coworking space. From private offices and coworking spaces to meeting and board rooms, and event and workshop space, this centre offers the capacity to grow your company physically and connect you with role models to grow it productively. Situated in Almonte IT Park. Pune International Airport is a 12 minute car journey from the centre. Close-by, there are a number of restaurants. 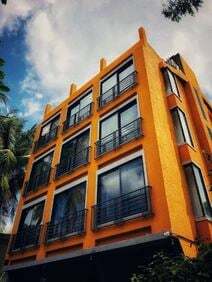 The centre based in the heart of Koregaon Park is fully furnished and perfect for freelancers and solopreneurs. It is well connected to public transportation and is surrounded by international restaurants. Furthermore it is close to Mula Mutha River and there are some hotels based in this area. Located just a short drive from both the main railway station and the airport, this centre is situated in a sought-after area. 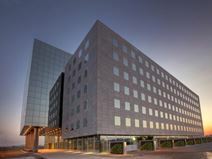 Located on the fourth floor, this centre provides quality serviced offices set in a tech park. Situated on the Main Baner Aundh Road these serviced offices provide great connectivity to Mumbai, Hingewadi Tech Park and other areas of Pune. The building they are housed in is modern and is ideal for BPOs and start-ups. The Centre in Pune is designed for you to work in a growth-ready environment and to growth together with link-minded co-workers. It is a great, lively space and well connected to public transportation with several bus stops in walking distance. Surrounded by hotels, cafes as well as international restaurants and bars if you would like to go out with your clients. Designed for entrepreneurs and startups, this space is the perfect "plug-and-play" environment for working on the go. Facilities including WiFi, lounge areas, plus 24-hour access are all standard in this space, meaning you'll have no problems working when you need to. Extra bonuses include a fully equipped pantry, complimentary beverages and proximity to local shopping outlets. Local buses stop regularly at stops on the adjacent roads, to help make your daily commute easier. 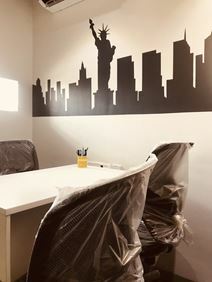 The premium centre with affordable co-working space available for freelancers and solopreneurs is well connected to public transportation with less then five minutes to the nearest bus stop. They are offering super fast WiFi, well equipped meeting rooms, parking and nice company lunch breaks. All you need to boost your day is chose your space, plug in your laptop, and you’re good to go. Situated in The Kode on Baner-Pashan Link Road, this centre offers fixed desk and premium cabin space. 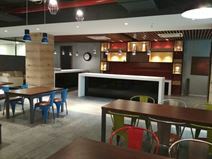 With it's large capacity and collaboration area that features modular and plush seating that easily converts to an entertainment zone, this centre caters to all types of workers. In an area that is fast emerging as an entertainment and shopping hub, with prime access to Mumbai Pune highway, Pune railway station and the airport, this centre is an ideal location for you to situate your business. 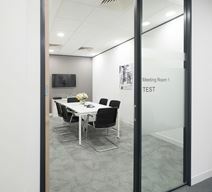 Situated in the heart of the city and well connected to the airport and railways stations, this serviced office occupies a prime location. Offering fully equipped serviced offices along with other support services. Very close to the airport and the city centre this pair of modern office towers are ideally located for international business and are particularly sought after by leading IT companies and major corporations. In the bustling vicinity of Camp, Pune this centre can be found and will blow you away with it's state-of-the-art amenities, modern infrastructure and brilliant aesthetics. Boasting 423 workstations, five meeting rooms, and a large collaboration area, and a seating plan that includes premium cabins and flexible desk arrangements this centre works well to foster productivity. With a range of member benefits including complimentary amenities and access to use meeting rooms at any centre in their network becoming a member of this space is productive for those who work all around India. On-site there is also a cafe which provides a large selection of food and beverages at very reasonable pricing. Fine cuisine restaurants, discos, pubs and shops reside in this area alongside buses and rickshaws which frequently provide access to the site. 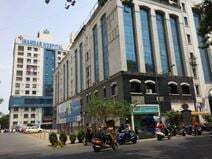 This office space is certainly one of the most prominent commercial hubs in Pune, largely due to its superb location on Bund Garden Road within the central business district of Pune. Multi-national companies such as Ernst & Young, PWC, KPMG, Microsoft, Philips and ING are based in the same complex, providing a mature business environment. The international airport is quite close by as is leading hotels and IT districts of Pune. All your shopping needs are catered for by the numerous retail shops located within the office complex. Located in Kharadi, in the eastern part of Pune this centre is ideal for multi-national corporations as they provide offices that can cater for up to 60 workstations on flexible terms from three to 36 months. They offer a 24-hour access and copy and printing facilities as well as a reception service if you need any assistance. It is located in Aundh, very prime area of Pune and it is close to the next bus station. There are opportunities to go shopping or to go for food at lunch time in one of the many restaurants in this area. The centre located in Kalyani Nagar is a well designed co-working space including reception services, 24-hour access and security as well as they have beverages and a cafe/restaurant on the site. With a very upscale neighbourhood the centre offers the best space to work from. Superbly situated within a landmark building in the centre of Pune, these rental offices are truly a joy to behold. Elegant construction are seamlessly integrated with chic interior designs, further enhanced by excellent facilities such as high-speed broadband and state-of-the-art communication systems. There is also a podium garden as well as residential and recreational facilities within the complex. A premier business address along other leading multi-national corporations - Accenture, Avaya, EDS, Sybase and WNS. A benchmark centre within Cybercity offering fantastic amenities from an on-site management team to complimentary tea and coffee, WiFi, and interactive sessions, workshops and events for all members. Close to a range of facilities in an area that has been created with a lot of thought; from gardens and landscape to roads and play areas. Well connected to public transport financial facilities, and restaurants, bars and cafes. 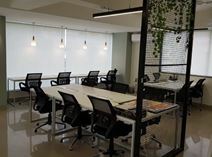 Housed within a prominent commercial building this aesthetically designed co-working space is located in Baner, a commercial and residential hub in Pune. Home to many large IT companies as well as other industrial enterprises. In the commercial development of Nagar Road, you will find this centre nestled in the most upcoming residential, commercial and retail area of the city. Home to World class amenities nearby such as 5-star hotels, Phoenix Market City Mall, cafes and restaurants, ATMs, Open-to-Sky Cafeteria and the like due to it's close proximity to Pune International Airport this area is considered the most accessible location as it has great connectivity to transportation to all of Pune. 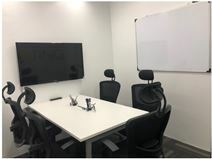 Offering a large number of work stations arranged as co-working or private office solutions, this space also offers a wide range of meeting rooms. Catering to collaborative workers, this centre also provides lounges and pods to provide ample opportunities to foster productivity and promote activity. With amenities like pedestal storage, whiteboards and pin-up boards as well as hi-tech infrastructure like NFC based access cards, CCTV coverage, video projection, video conferencing, high speed internet and laser printing, this space all your office needs handled. Providing meeting room access in all the locations in the network and giving you credits for meeting room rental, which can be accessed via the in-house app, and printing. This attractive building is situated in the heart of Pune"s eastern IT corridor and benefits from being part of an integrated business park that is a hub for international trade and surrounded by various local amenities. The centre based in Bavdhan offers premium, fixed and flexible co-working spaces which has amenities like high-speed WiFi, well equipped meeting rooms and parking is available on the site. Furthermore it is well connected to public transportation and there are international restaurants based in this area. Situated close to central business district of Pune this professional and flexible office space is located on the 7th floor of a contemporary glass building that provides beautiful views from both external offices and meeting rooms. A mix of open-plan office space and private offices are available. The building is within a mixed residential and commercial area and as such benefits from a range of local amenities nearby. This center goes all and above for its customers as they are happy to customize the cabins for you to make sure members experiences are unmatched. Some perks include an in-house cafe which provides you snacks and beverages, and other various food requirements. Just 1km from the nearest train station this centre is part of a corporate and technology park in the heart of Punes CBD and provides flexible and fully-equipped offices. This iconic skyscraper is located in the business hub of Pune, Kaylani Nagear. Guests are welcomed by a sleek lobby and reception area while tenants work from private offices and fully furnished executive suites on flexible terms. Ideal for international businesses this building in an expansive IT park located in Hinjewadi, Pune has 24-hour power back up and security. The modern business centre is made up of a mix of shared office space and fully furnished executive suites ideal for anyone looking to join the area"s large Blue Chip IT companies. Do you want the opportunity to work outside the concrete jungle? Look no further. This centre is surrounded by lush green mountains and trees which can be seen from every window. Offering affordable, luxury workspaces in high profile location this spacious office offers fixed desk co-working. Increase your lifespan by getting out of the polluted atmosphere and near to the mountainous supply of fresh air which has the added bonus of increasing your energy levels. Located in Pune's prestigious IT park, sharing a domain with multinational software companies. With nearby facilities like public transport, banks, markets, major food venture and 5-star hotels just one minute away you are in a prime location to service all your personal and business needs. The centre is spread over approximately 260,000 sq. ft. of workspaces and a sprawling 430,000 to 450,000 sq. ft. of mall space. Part of the 3rd phase of development of the International Convention Centre, this space is located across the street from ICC Trade Tower, as an integrated part of JW Marriott Pune. Benefit from the proximity to all of these, alongside the amazing benefits offered within the centre itself, including high-speed WiFi and comfortable office space. The Centre is centrally located and public transport links are available easily. The place we are working should be a relaxed and flexible place to work, one in which you would be able to work in an efficient way. For that, the Interior and feel of place play an important role. You do not need to bother with any amenities like it required proper sitting space, desks, plug-in sockets, high-speed internet, network. Get everything you need at one place. Situated close to central business district of Pune this professional and flexible office space is located on the 7th floor of a contemporary glass building that provides beautiful views from both external offices and meeting rooms. A mix of open-plan office space and private offices are available. The building is within a mixed residential and commercial area and as such benefits from a range of local amenities nearby. Opening in December 2018 - Based in the east of Pune, this iconic space has about 1000 seats, full functional loaded with amenities and benefits to make you focus on your work. The Centre is well connected to public transportation and based next to Mumbai Highway which makes it easy accessible. A lot of international restaurants are in this area which is perfect to take your clients out for lunch or dinner. Productivity ready space suitable for emerging companies, startups, one-man armies, travelling professionals and individuals seeking enriching coworking space. From private offices and coworking spaces to meeting and board rooms, and event and workshop space, this centre offers the capacity to grow your company physically and connect you with role models to grow it productively. Situated in Magarpatta City. Seasons Mall is an 11 minute walk away. Onsite parking is available for employees and visitors. Fully furnished co-working space with 24-hour access and security as well as the centre is well connected to public transportation within five minute walk from the building. Based in the heart of Baner and surrounded by restaurants and hotels makes it a nice location to work at. The centre is located in one of the fastest developing areas and has a lot of restaurants, cafes, bars and shopping malls in close proximity. They aim to provide the space you need to grow your business and therefore they are always working hard to improve their services. Furthermore there is a women's dedicated area available or you can use one of their plug and play facilities to collaborate with other entrepreneurs. Housed on the eighth floor of this landmark Pune building, this centre is part of an integrated business park in the centre of Pune’s eastern IT Corridor and offers fully-equipped and flexible offices.